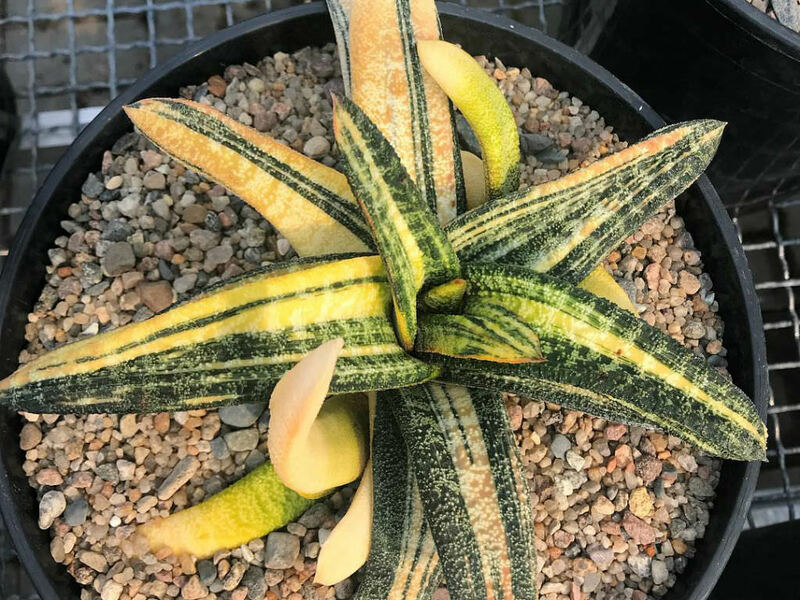 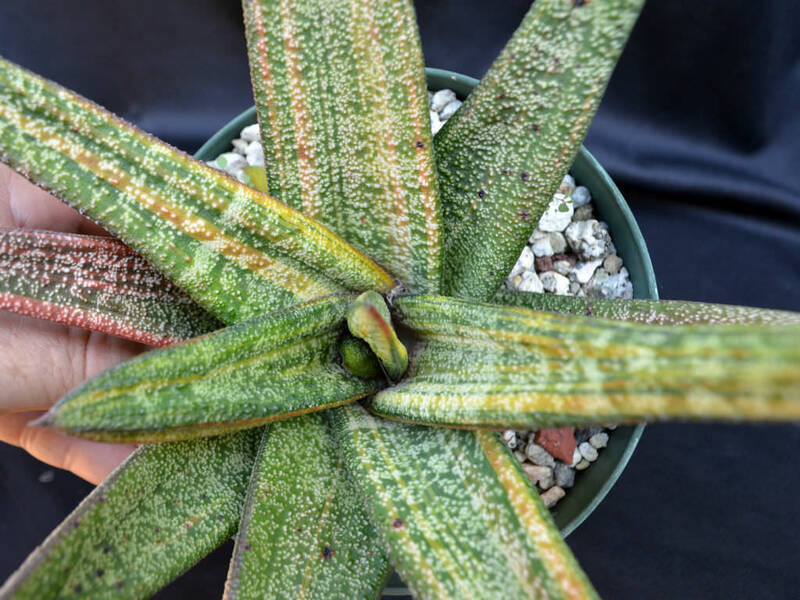 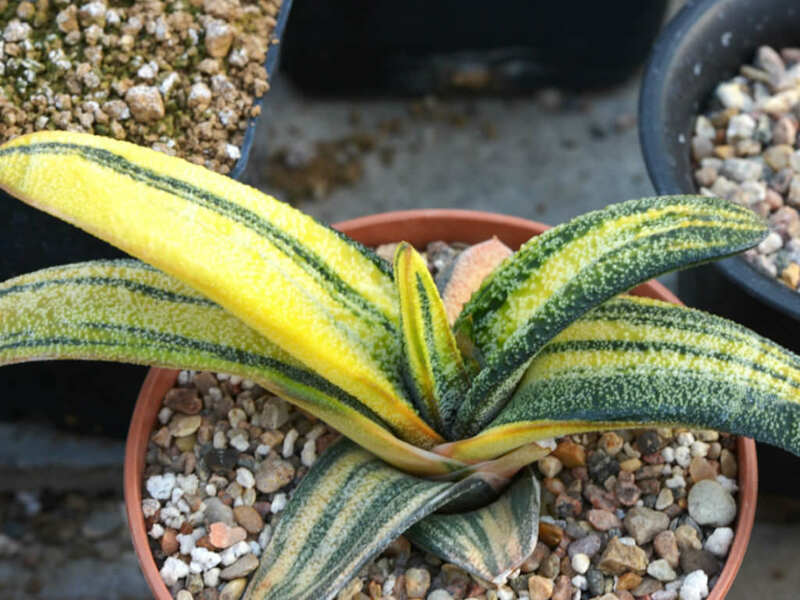 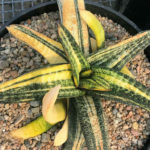 Gasteria batesiana f. variegata is a small, charming succulent bearing variegated, creamy-white and green, rough, tuberculata, brittle leaves, up to 4 inches (10 cm) tall and up to 12 inches (30 cm) in diameter. 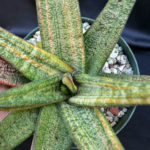 It is at once recognized by its small rosettes of triangular-lanceolate leaves often with transverse mottled cross bands and simple inflorescence of large nectar-rich flowers, up to 1.6 inches (4 cm) long. 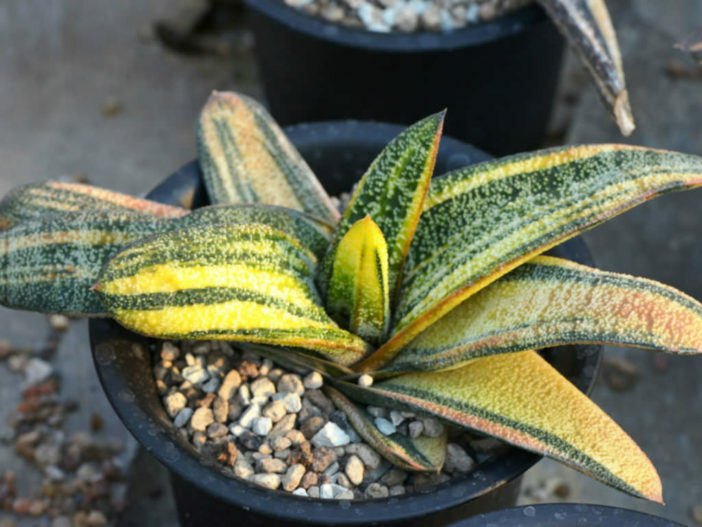 The plant soon proliferates from the base forming small groups. 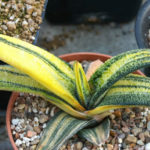 Native to the inland escarpment in the far north-east of South Africa.